Kirkshire Condos-Kirkwood Schools. 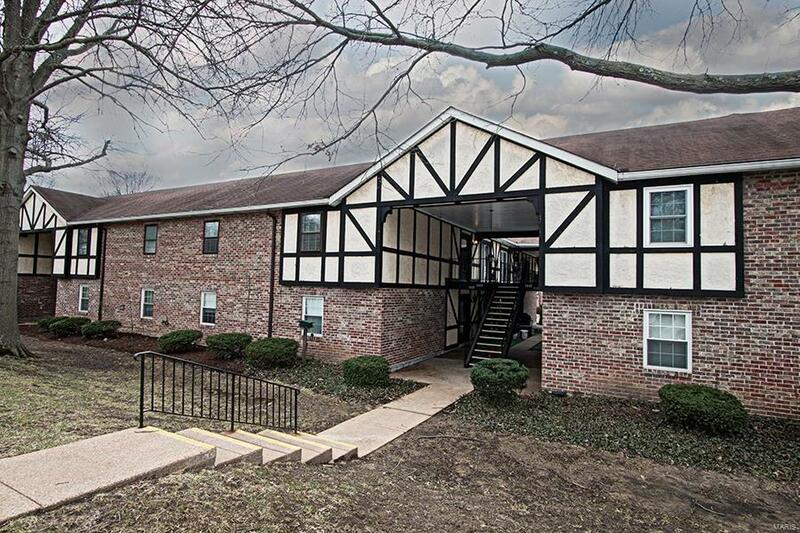 Come see this 2 bedroom 2 full bath unit-freshly painted and with NEW carpet installed 3/19. This unit is a comfortable 1350 sq ft. It includes a large living room that is open to Dining room or Office your choice. The kitchen has plenty of room for dining table, a sky light provides great natural light, stainless appliances include a Bosch Dishwasher with stainless interior. The Hall bath has a newer vanity, adult height toilet, tub/shower with tile surround. The Master En Suite has a large walk in closet, an updated shower with wonderful tile surround/glass doors, newer vanity. The Master has room for several pieces of furniture. The 2nd bedroom has a large closet and ceiling fan. The bedrooms are separated by a hallway & provide a quiet retreat from the rest of the unit. Wonderful POOL at Kirkshire. There is a laundry room in UNIT, seller will leave the washer and dryer...all you have to do is MOVE IN! Storage/Reserved Parking. Enjoy summer HERE!